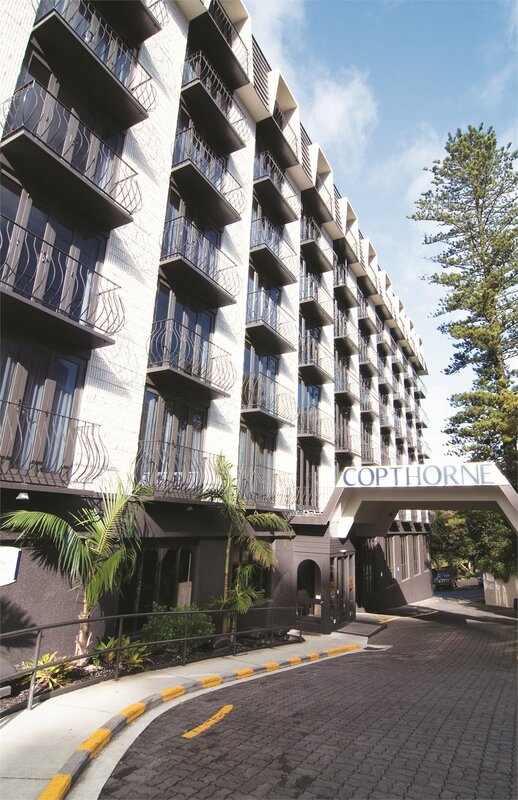 Centrally located, the Copthorne Hotel Auckland boasts warm hospitality with Queen Street shopping nearby and the Viaduct Basin and Vector Arena within only a 10 minute walk. All 106 guest rooms are uniquely equipped with soundproof windows designed to ensure privacy and comfort. 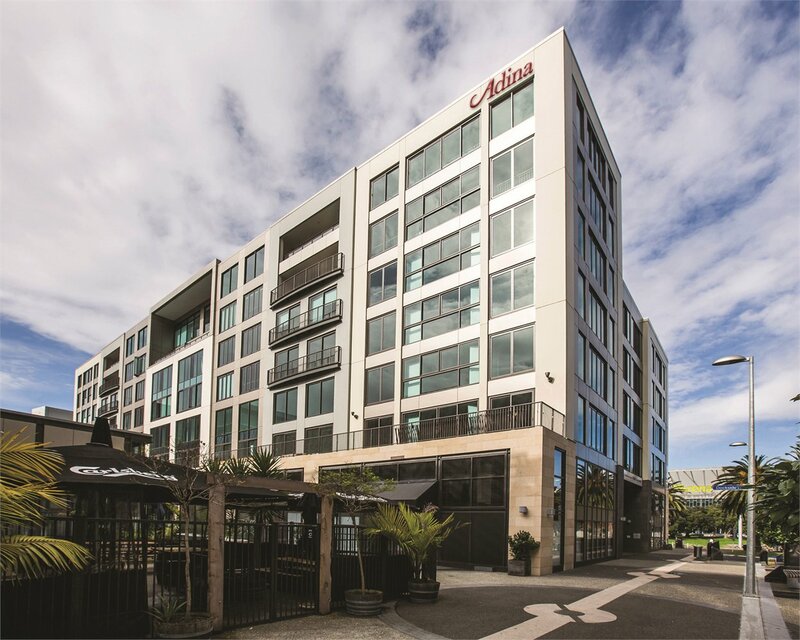 Located in the heart of the city, only one block from the Sky Tower and Casino, this modern contemporary hotel offers stylish guest rooms, with the higher floors offering unsurpassed water views of Auckland Harbour and the city. For travel 16 Apr - 14 Oct 18 &amp; 17 Dec 18 - 13 Jan 19 stay 1 additional night and receive buffet breakfast for up to 2 people daily. NOTE: Excludes Special Event periods. Located just a stone's throw away from the serene waterfront in the Quay Park precinct, explore Britomart's best designer boutiques, dine at one of the many cafes or restaurants nearby. The hotel is only 200 metres from Vector Arena's world class concerts and events. 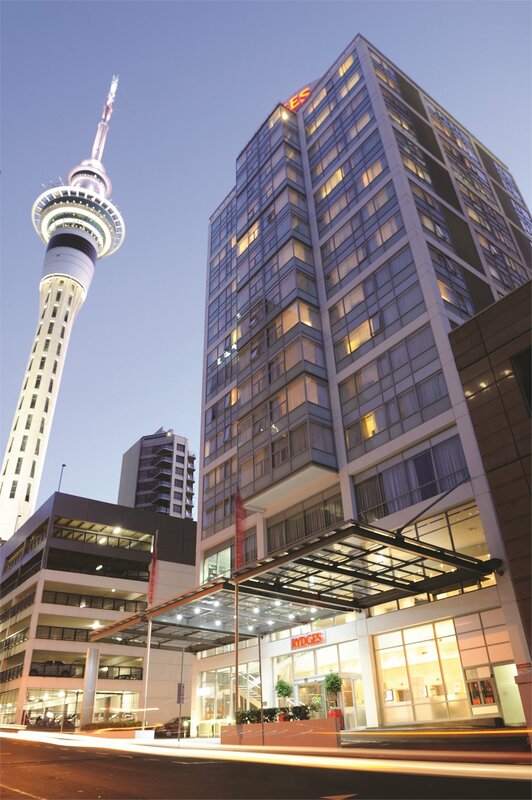 Centrally located, the hotel facilities are top-class, rooms are spacious and the iconic Sky Tower is right on your doorstep. Dine in style at one of 20 plus restaurants, cafes, and bars and experience the thrill of the world-class Casino. Hotel Grand Windsor is located on Queen Street in the heart of Auckland's Central Business District. 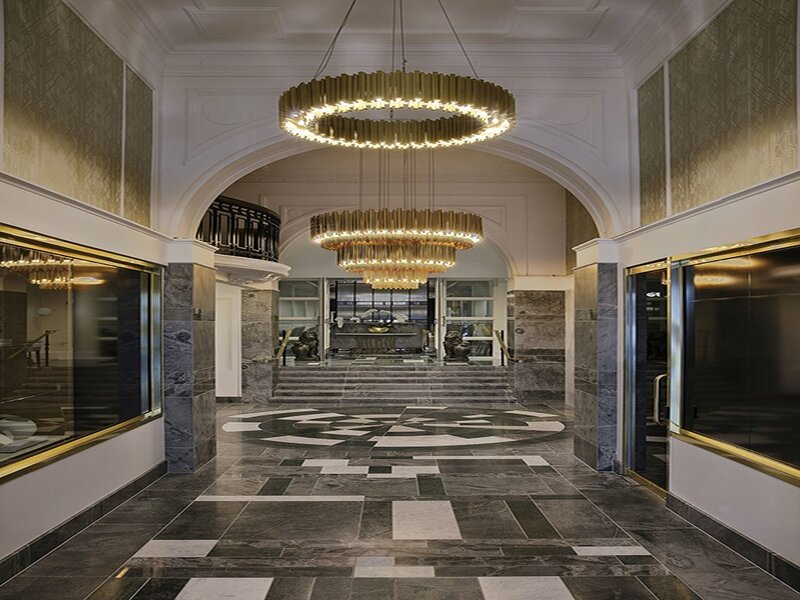 The heritage-listed hotel is close to premium shopping, entertainment including excellent cafés, lively bars and Auckland's premier dining precincts. Iconic landmark hotel centrally located with magnificent view overlooking the Waitemata Harbour and Viaduct Basin. Luxurious suite-style accommodation offers a spacious environment to relax. Includes: Honeymooners receive a complimentary handmade chocolate selection on arrival and 2 drinks vouchers redeemable at the Lobby Bar PLUS a complimentary turn down service. 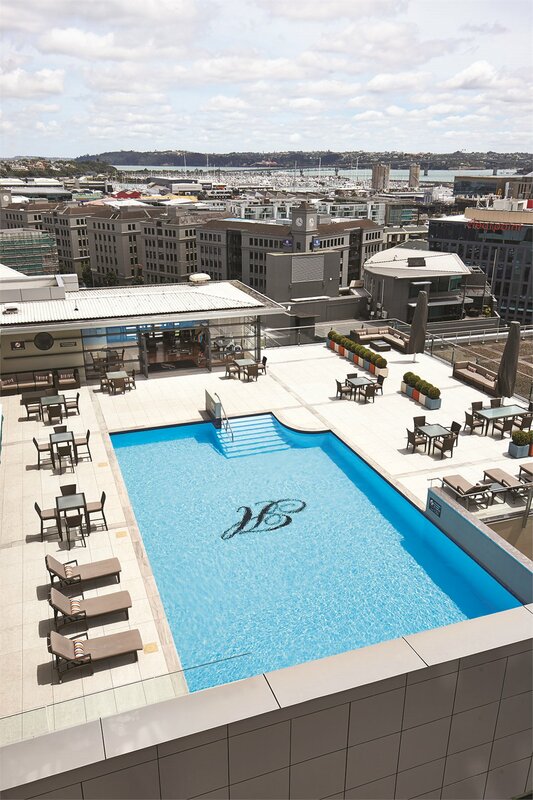 Discover an oasis of luxury in the heart of Auckland's vibrant city. Beautifully appointed, modern and spacious rooms are just the start of this 5-star experience. 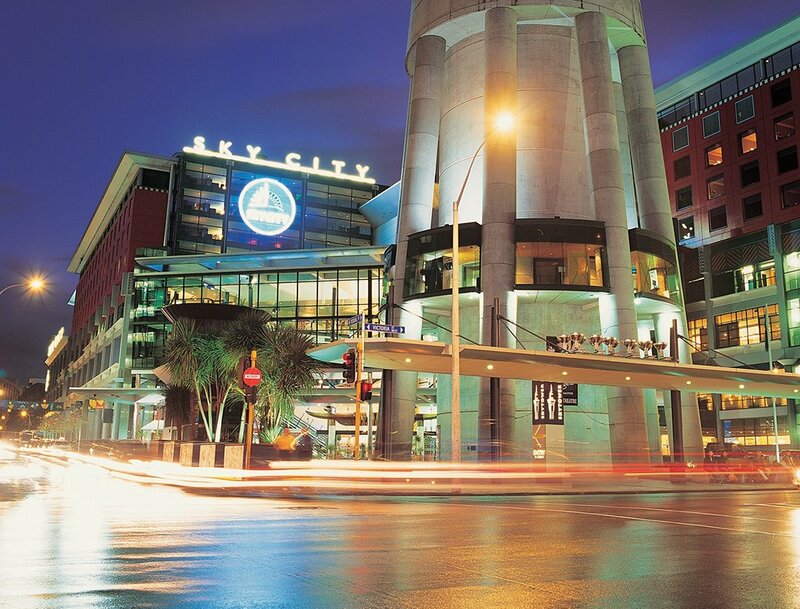 Award-winning dining, the iconic Sky Tower or the tranquil East Day Spa await you. Christchurch - perfect for a weekend away! PACKAGE TERMS & CONDITIONS: It is our policy to present the cost of our holidays inclusive of all airport and government charges. Please accept however that these charges are not within our control, therefore we reserve the right to pass on any increase.. Travel agent professional service fees where charged, will be additional to the advertised prices. Closeout and blackout periods apply over school holidays and peak holiday periods & availability of seats & rooms is likely to be very limited over this time . Valid for sales to 31 Mar 2019. Valid for travel commenced and completed within the period 20 Mar 2019 to 31 Mar 2019 (unless otherwise specified).IMPORTANT: Accommodation Surcharges & Close outs may apply during Special Event periods. Prices shown are based on per person costs in New Zealand Dollars, for payment by cash, cheque or eftpos only. Credit card sales not permitted unless Travel Agent acts as a merchant. Strict cancellation fees apply. Packages are based on consecutive nights. For split stays please contact your travel consultant. For full terms and conditions and cancellation fees please contact your local travel agent for more information. ISSUED 04MAY16 V2: 21OCT16.